Vegetables in cake? Absolutely! 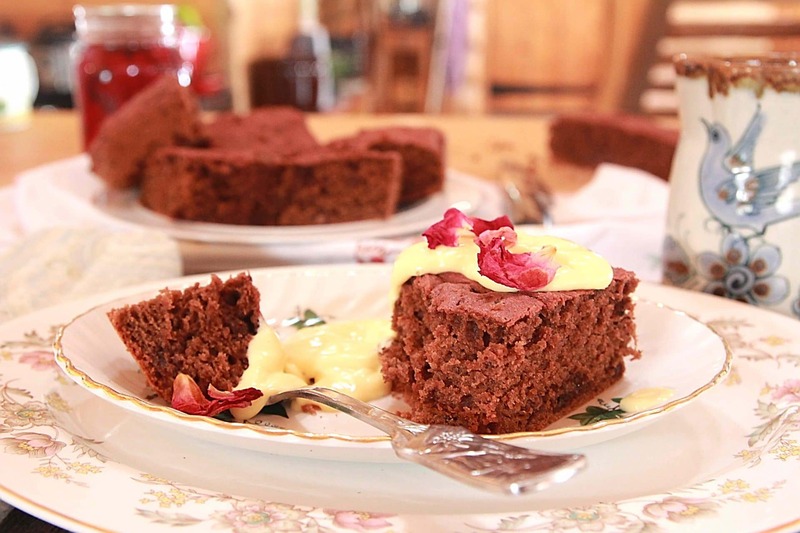 If you like carrot cake or zucchini bread you’ll love this lovely, rich beetroot chocolate cake. It’s extremely moist and impossible to resist. Rest assured, it tastes nothing like beets so no one will be complaining about the fact that you’ve put veggies in cake – I promise you! If you happen to preserve beets, this recipe is a perfect way to use up your canned beets. It’s a really versatile cake. 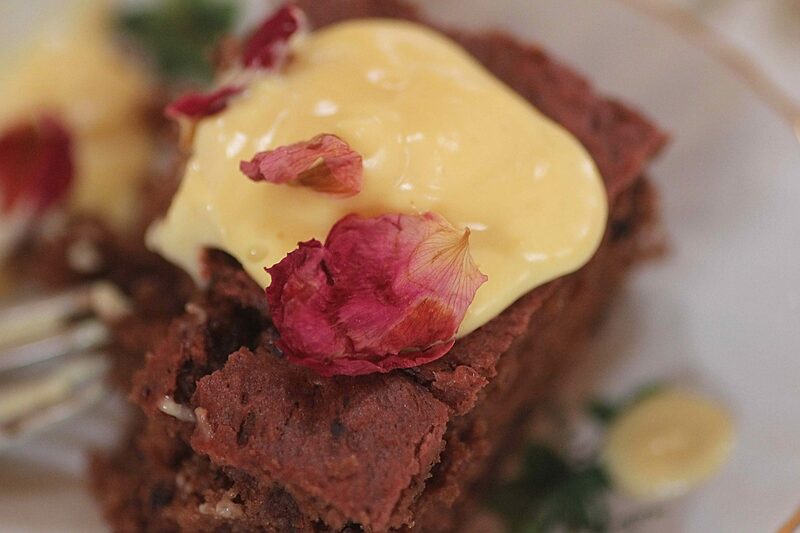 Serve with custard, ice cream, vanilla icing or with fresh cream and a fruit compote. You might also enjoy it with rumtopf: Fruit Preserved in Rum. This recipe was originally posted on steemit.com. Pre heat the oven to 350F (177C) & Grease a 9 inch cake tin. In a medium bowl combine the melted butter, vanilla and sugar. Stir well. whisk in the eggs one at a time. Purée the beetroot and add it to the egg mixture. Pour the wet mixture into the flour mixture and stir until combined. Stir in the chocolate chips. Bake in preheated oven for 35-40 minutes or until a toothpick inserted into the centre comes out clean.